Have you ever had one of those nights where you just can’t decide what to eat? This is a constant challenge in the Geek household. When we finally made it over to DeSoto Central Market a few months back (it has only been recently that we have really started diving into the Downtown Phoenix scene), we knew we had found a solution! Heck, we liked it so much, we went two weekends in a row! DeSoto Central Market is located in Downtown Phoenix in the Roosevelt Arts District. It’s housed in the DeSoto Building, the old C.P. Stephens DeSoto Six Motorcars dealership. The food hall is home to: Tea and Toast, The DCM Bar, DCM Burger Joint, The Larder + The Delta, Adobo Dragon, Radish Salad and Juice, and Walrus and the Pearl. Behind the helm of DCM Burger Joint, The Larder + The Delta, and Walrus and the Pearl is one our of favorite local chefs, Chef Stephen Jones. We’ve only known of him for a short part of his career (from the time he was at Blue Hound Kitchen to the present) and in that time, we are continuously amazed by the fantastic food he comes up with. For Matthew, the South X Southwest Burger has become the burger to judge all burgers by. 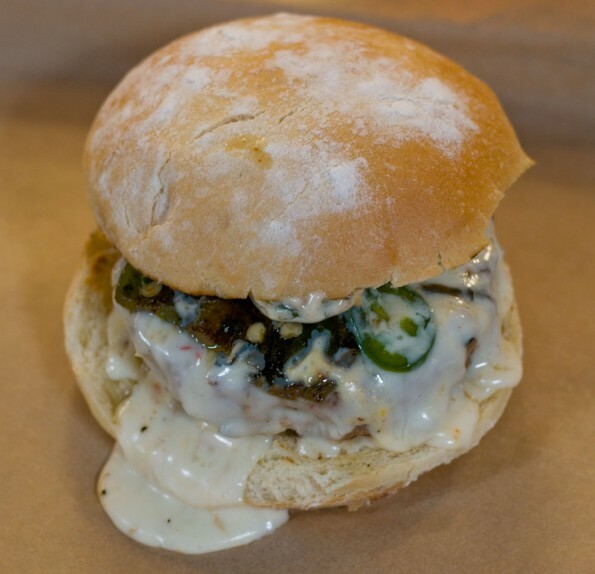 It features a pork patty, poblano pepper, candied jalapenos, pepper jack fondue and a roasted corn aioli. It was also voted the Best Non-Beef Burger by Phoenix Magazine in 2015. Perfectly seasoned and cooked, this burger is life altering. This isn’t the only good burger to come out of the DCM Burger Joint. Believe it or not the DCM Bar makes a Monster Bloody Mary that features a slider (that was perfectly executed) from the DCM Burger Joint. Typically, we feel that those types of drinks of gimmicky but not in this case. Each individual component is made as well as the larger menu items. For Sarah, Chef Stephen’s Fried Chicken and Waffles were almost the favorite. With Homeboy’s Habanero mixed into the batter and perfectly cooked fried chicken, it was the perfect first timer experience (yes there was fried chicken and waffle virginity on the line here)! However, then came the cauliflower. If we were religious, we might say we’d experienced a slice of heaven. 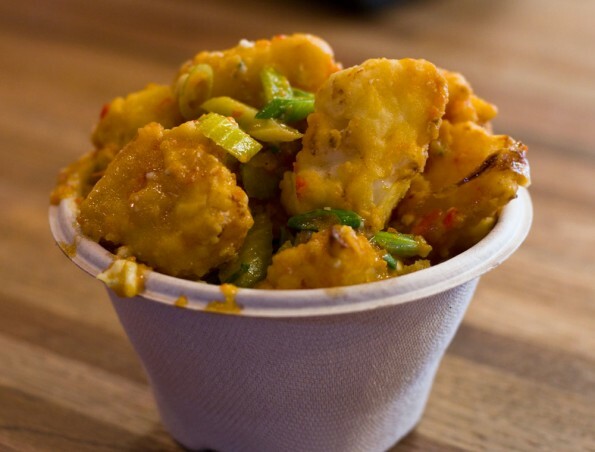 Imagine if you will, battered cauliflower, pickled celery, ewe’s bleu and Homeboy’s Jalapeno. It is basically Buffalo Cauliflower on steroids! An unexpected surprise at DeSoto Central Market is Walrus and The Pearl. I’m sure everyone is familiar with a map of the United States and knows that Arizona isn’t exactly beach front property. Chef Stephen brings in whatever is fresh, primarily from the Northwest. The oysters are served with various accompaniments including a traditional migonette, however we found them to be so fresh and flavorful that we didn’t want to miss on the flavors of each type that we tried. 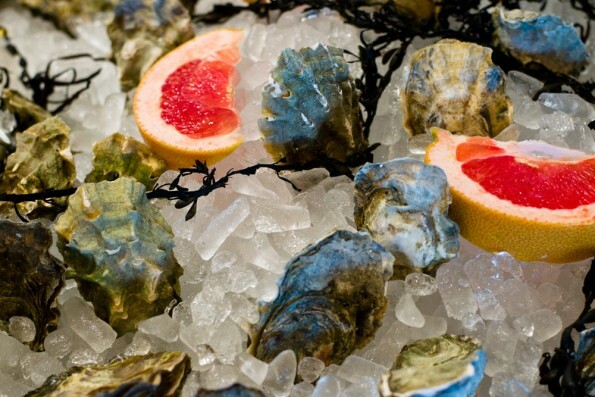 Not only are fresh oysters served at Walrus and The Pearl, but also crudo and other seafood dishes. 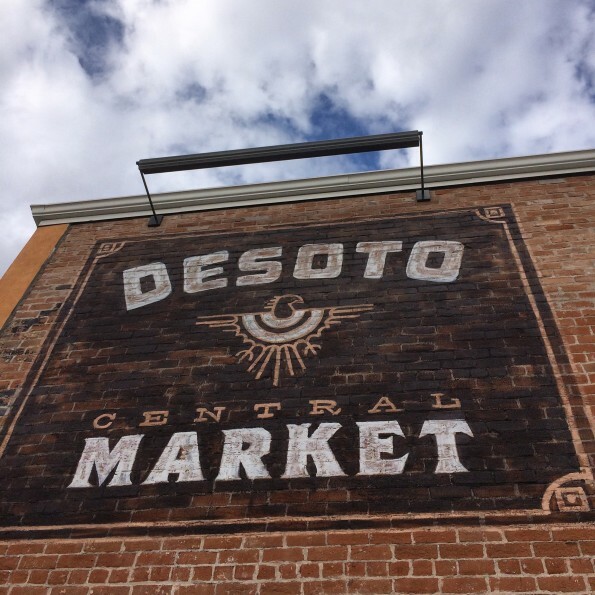 DeSoto Central Market is a great place to go when you’re not quite sure what you want. There is something for everyone and every taste. Whether you want a burger, some juice, seafood or even some legit Southern food you’re covered. Take our advice, pick a Sunday and plan to spend the day. Make sure to take breaks in between meals (we just walked down Central) but it definitely makes for a fun experience.